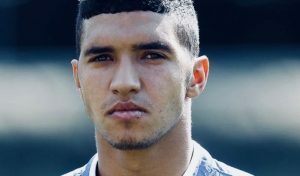 Benjamin Hajji, who runs Moroccan football site @MarocFooty, returns to profile Zakaria Bakkali in the new Moroccan Rahala series that will profile players of Moroccan descent that have opted not to play for the Atlas Lions. Brussels, October 15th 2013. It’s the final game of the 2014 World Cup Qualification for Belgium. The Red Devils have already sealed their place in Brazil when they face Wales in King Baudouin Stadium and head coach Marc Wilmots decides that now is the time. With twelve minutes to go, he gives Zakaria Bakkali an encouraging kiss on the forehead and sends him on for Kevin Mirallas. At the age of 17, Bakkali becomes the third youngest player in the 21st century to play for Belgium, after Romelu Lukaku and Anthony Vanden Borre. He consequently loses the opportunity to ever play for Morocco, the country of his parents. A Coruña, April 6th 2018. 22-year-old Bakkali watches from the bench as struggling Deportivo La Coruña win their first La Liga game in four months. He hasn’t played for the national team in two and a half years and is being heavily criticized by Spanish media after going through three different managers on loan with Depór, failing to perform with any of them. He is expected to return to his current club, Valencia after the season, but his future with Los Che doesn’t look too bright. This is the story about a young wonderkid from Belgium with the world at his feet, who all of a sudden found himself in the middle of a battle between two national teams, fighting for his recognition. Big clubs were interested and the most powerful agent in the world was going to help him reach the stars. After going back and forth for months, he eventually made his choice, but was it all too much, too soon? Zakaria Bakkali was born in Liège to Moroccan parents from northern region Beni Saïd in the Nador province. He spent most of his spare time on the concrete five-a-side pitches in the city and started playing with local club RFC Liège at the age of six. When he was nine, Bakkali participated in the biggest youth tournament in Belgium, where he was spotted by Standard Liège, who brought him to their academy. As a striker, he hammered in goals for the youth teams and was ultimately captured by Dutch giants PSV Eindhoven, in competition with several foreign clubs. His yearly holidays was spent in Morocco and it was clear that he felt a strong connection towards the country of his parents. Already back in 2011, when he was 15, Bakkali had been in close contact with the Moroccan Football Federation, having several meetings in Netherlands. General secretary of the FRMF, Tarik Najem, their Dutch representative, Noureddine Moukrim, and national assistant coach, Walid Regragui, were all in touch with Bakkali and his entourage, encouraging him to represent the Atlas Lions. According to journalist Abir Al Maghrabi of Le360, the aforementioned trio even had a session where they were all reciting the Fatiha (the first chapter of the Holy Quran) together with him and his father, as a way of sealing his commitment to Morocco. By then, PSV were aware that they had a diamond on their hands and gave him a three-year contract, while the main man himself had already started to complain about not getting his first team debut. He was finally heard in July 2013, when he played the Champions League qualifying game against Zulte Waregem. In the return leg, he scored his first goal for the club and was rewarded with a place in the starting lineup when the Dutch season kicked off. In his second league game, Bakkali scored a hattrick against NEC Nijmegen and became the youngest player ever to do so in the Eredivisie. This was obviously noticed by Marc Wilmots who was head coach of Belgium at the time. Only four days after his hat-trick, he was called up to the friendly against France, but were ruled out due to injury. He was then called up again shortly after, this time for the World Cup qualifier against Scotland, but said he didn’t want to commit to any national team yet. It was clear that Bakkali felt like he had the world bowing down to his feet and with the agreement for the influential agent Jorge Mendes to help him out, it was quickly becoming a kid-in-the-candy-store situation for the young superstar. But from that point it all started going wrong for the widely publicized prodigy. He gradually got less playing time for PSV’s first team and in the second half of the 13/14 season, he barely featured in the Eredivisie. Those within the club were growing annoyed with his poor attitude both on and off the pitch while Bakkali himself still had yet to make a decision on a contract renewal PSV offered back in August. Just like when he was choosing national team, he changed his mind on a regular basis and could be open to signing the contract one day and expressing his desire to leave the other. In May 2014 Bakkali was famously taken off after only 16 minutes in Park Ji-sung’s testimonial, for his lack of effort. He had still yet to sign a new contract and looked sure to leave the club that summer, with several clubs still interested. But a move never materialized and instead he ended up starting the 14/15 season with Jong PSV in the Eerste Divisie. A couple of months later, PSV withdrew their contract offer and decided to ban Bakkali from playing for the club, although he stated that his lack of games was solely due to injury. As a result, the young winger went almost a year without a competitive game, and what had started off as a match made in heaven between player and club was now turned into a cold war. Meanwhile, Bakkali was finally called up to the Belgian national team again for the first time since his international debut. But he wasn’t going to play with Eden Hazard, Romelu Lukaku or Kevin De Bruyne this time. It was Euro qualifiers against Luxembourg and Belarus with the U-19’s. However, only hours after the squad was announced, his name was suddenly removed and no one seemed to know, at least openly, why that was. You could only wonder, but it became a symbol for his quick downfall with The Red Devils. The following summer, Bakkali went to Spanish side Valencia on a free transfer, who were coming from a positive season, finishing 4th in La Liga and with a highly praised manager leading the team. But he rarely got the chance in the starting lineup and when Nuno Espírito Santo got sacked in November, Bakkali picked up a groin injury soon after which ruled him out for the remainder of the campaign. The year after, he went through three managers in Pako Ayestarán, Cesare Prandelli and Salvador Voro González, but wasn’t able to get into the starting lineup under any of them. After a 3-0-loss to Atlético Madrid in March 2017 he was singled out on Valencia’s official website, criticized for not tracking back and was labelled as an ‘Attacker of Atléti’ mainly for a bad pass that almost ended up in a goal for Los Rojiblancos. Currently, Bakkali is now on loan to Deportivo La Coruña, where he initially has been starting a couple of games, first under Pepe Mel, then with Cristóbal Parralo, and recently under current manager Clarence Seedorf, before eventually being demoted to the bench by all of them. It’s no longer a coincidence and you can’t help but wonder if he is ever going to get close to fulfilling the immense potential we know he has. His representatives can not claim to have made things any smoother for him over the years, especially with the way they handled the situation at PSV. It can’t have been easy, as a stubborn 18-year-old who already had more than enough to worry about, when those around you manage to create even more distractions outside the field than necessary. Close family way too involved in financial discussions, combined with the aforementioned Mendes acting as an advisor for a young (and possibly naive) wonderkid, might not be the best recipe for success at such an early stage of a player’s career. Now, years later, it’s hard to tell how much the decision back in 2013 had to say for Bakkali’s lack of progress. You obviously can’t blame the Belgian Football Federation for his attitude and underwhelming performances, but did he get enough support as a huge talent with the whole world watching his every move? Was anyone following up on him in the months and years after the international debut, when he was nowhere near the squad? And most importantly, would he have been called up to the senior team at all, if he hadn’t been eligible to play for another country? For someone looking from the outside, you could get the feeling that a player like Bakkali was thrown into something he simply wasn’t ready for and paid the price in the long run. He might not ever be a Moroccan national team player, but nothing would make me happier than seeing Ziko eventually silence the critics and live out his boyhood dream to the fullest. One can only hope.